Adjustable steel shelves for easy access and organisation, also direct spills back to the sump. Robust construction with welded steel and insulated air space for fire resistance. Secure self-latching mechanism with steel bullet latching and cylinder lock to help prevent theft. 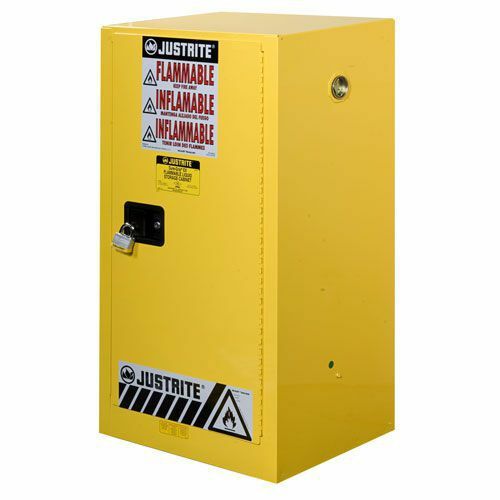 Compact flammable storage cabinet, perfect when storing lesser quantities of liquids.